Children who have access to high-quality education from cradle to career are more likely to receive a sustaining wage and stay out of poverty. They're also more likely to stay out of trouble and live safer, healthier lives. 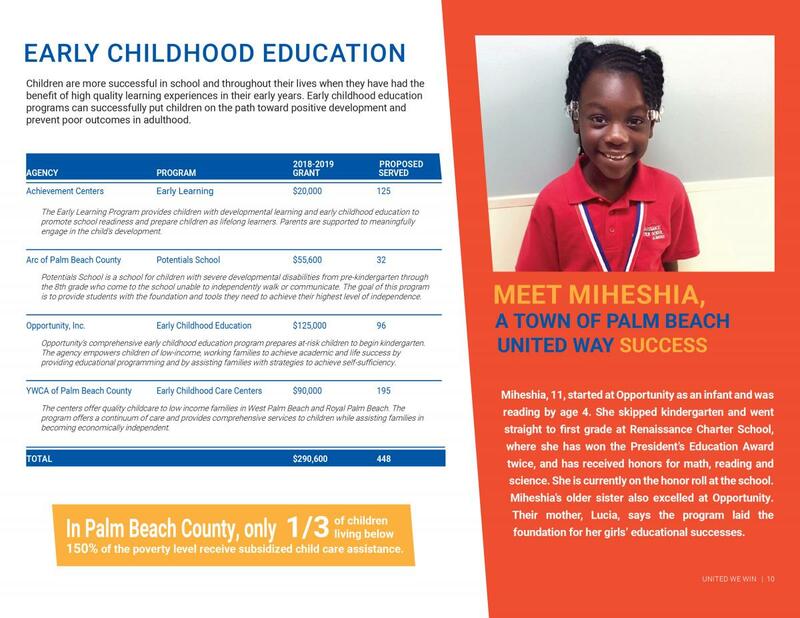 At the Town of Palm Beach United Way, we see education as a community responsibility. It takes all of us — parents, teachers and caring adults — to help a child succeed in school and in life. And we know it's worth it. 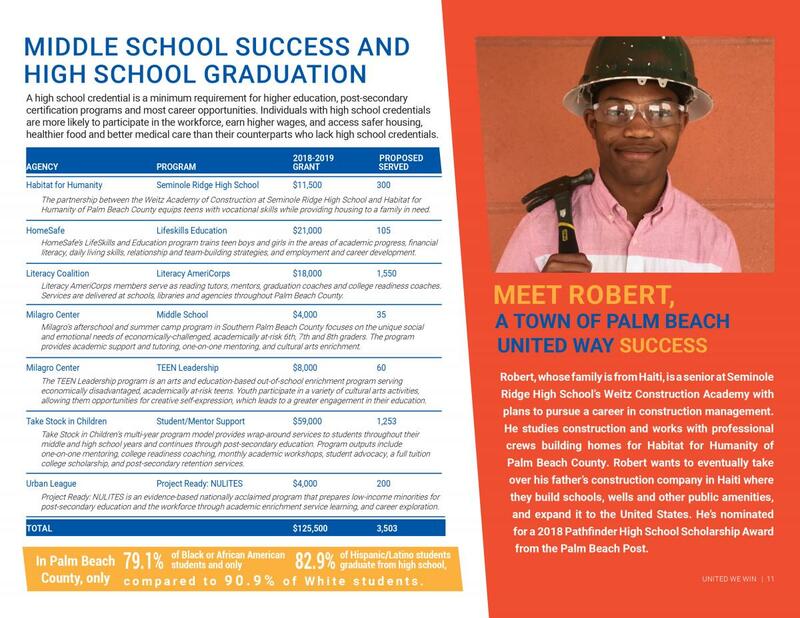 Your support of the Town of Palm Beach United Way allows us to invest $887,600 into education programs that help 11,021 children and adults in Palm Beach County. 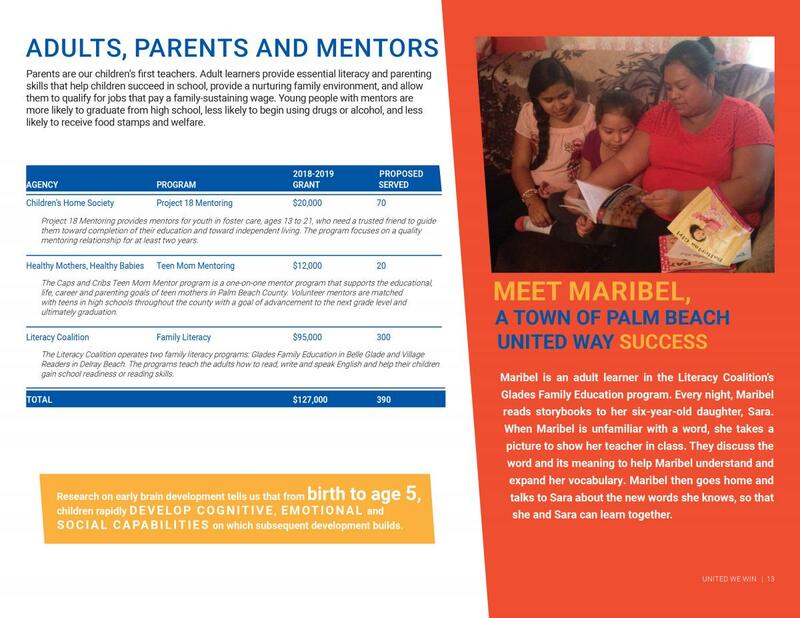 In Palm Beach County, only 1/3 of children living below 150% of the poverty level receive subsidized child care assistance. In Palm Beach County, only 79% of Black or African American students and only 82.9% of Hispanic/Latino students graduate from high school, compared to 90.9% of White students. Parents who are concerned about their children's afterschool care miss an average of 5 extra days of work per year. Research on early brain development tells us that from birth to age 5, children rapidly develop cognitive, emotional and social capabilities on which subsequent development builds. 1 in 7 adults in Palm Beach County lack basic literacy skills.